Today was a day where everything we tried went wrong. The wind speed was in the mid 20 knots and the waves were breaking which made it not possible to swim with the kayak. So using the boom to tow our net and collect micro plastic in the early morning, we hooked a long stream line to it, so that I could be paced by our sailboat. At the end of the line we attached a kayak. I would jump in it in case I was unable to keep the pace with Seeker and the helmsman was not able to slow her down on time. When I fall behind, the boat has to turn around to retrieve me and since it is very difficult to find me in those types of conditions we want to avoid it. Unfortunately the kayak capsized and became a useless dead weight. So we pulled the line and maneuver the boat to bring the kayak back on board. 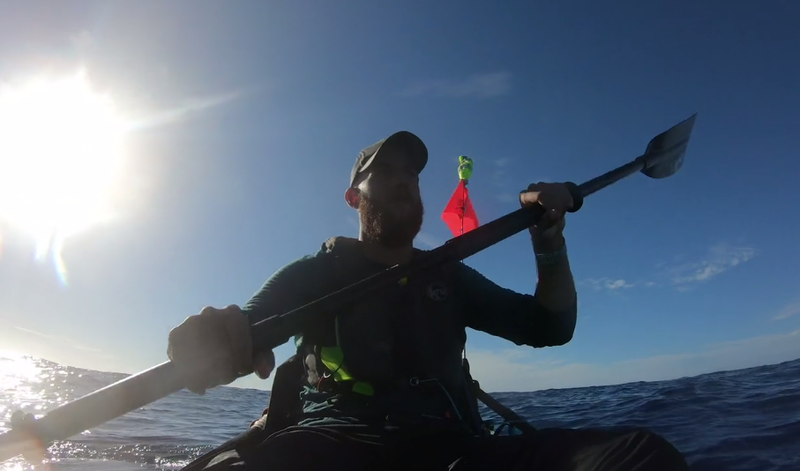 The wind and waves made the retrieval very challenging, the kayak moved to the opposite side of the boat and before we could do anything the line got caught in the propeller. Fortunately we weren’t using the engine, we tried to pull it from both ends but it didn’t budge. The only option we had, was to send someone under the boat and cut the line. The motion of the boat made this operation very dangerous, Seeker was rocking so much that the boom with the stream line was dipping in the water and then violently moving up, pointing to the sky. 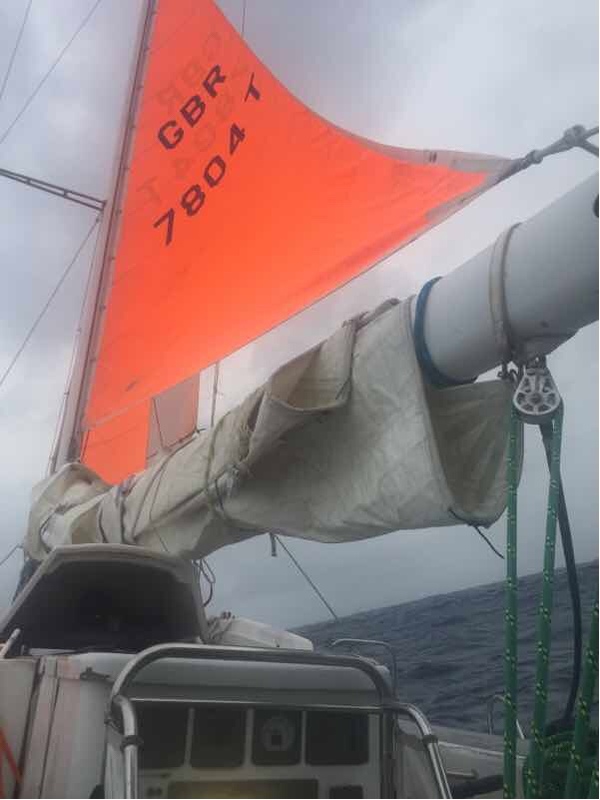 Seeker was slowed down as much as possible but still moving at about 2 knots. Gonzo jumped in the water hanging on to a rope and after being dragged for few seconds, he dove under the hull and cut the line. He safely came back on board, we retrieved the line and hoisted the kayak on deck. The stream line was put back in the water with this time, a buoy at the end. Everything was ready for the swim and right before I could jump in the water, a squall came with winds of over 30 knots. Needless to say, we called off the swim for the day because of those unstable conditions. Wrongs made right. Again lessons learned and inspirations felt. Gonzo saved the day! Hoping less wrongs come your way tomorrow.